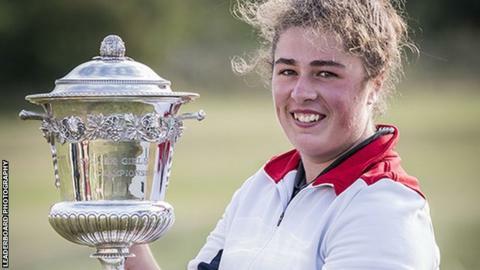 Cornish golfer Emily Toy has won the English girls' golf championship. The 17-year-old from Carlyon Bay beat internationals Lizzie Prior and Emma Allen by two shots to win the title at Sheringham after ending her four rounds on four under par. Toy was seven shots behind Allen going into the final two rounds before her opponent dropped nine shots over Toy. "Winning the county championship was my previous best and this moves me on to the next level," Toy said.